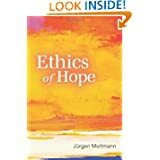 Moltmann’s Ethik der Hoffnung came out in 2010, and the English edition is due out next month. I plan to post a few selections in the coming days. John Hobbins at Ancient Hebrew Poetry cites an article by Moltmann on Bonhoeffer’s reading of the Old Testament: Jürgen Moltmann, “Dietrich Bonhoeffer und die politische Theologie. Eine persönliche Würdigung,” Orientierung 2 (2006) 14-18. Mit diesen Fragen suche die Kirche nicht Rat in der Bibel, sondern bei der Unternehmensberatung McKinsey. I consider Jürgen Moltmann to be Bonhoeffer’s heir in many ways. The next selection of the Bonhoeffer letter of April 30, 1944, that I plan to post here poses the question, “Wer ist Christus für uns heute?” Moltmann tried to answer that question in his small, popular paperback book by that title. It was a tip on that book from Scott Caulley at the Institute zur Erforschung des Urchristentums in Tuebingen (Scott has been using Wer ist Christus für uns heute in his Theological German class for international students there) that revived my interest in theological German. Moltmann’s testimony of his prisoner of war experience, including how he came to faith after being given a Bible by an American army chaplain, is told briefly in Wer ist Christus, but more fully in another little paperback, The Source of Life. The first chapter of that book is a reprint of an address he gave at the Bonhoeffer church in London–I believe it was on the 50th anniversary of Bonhoeffer’s death. The address reported his memories of his POW experience. I was moved to tears by two aspects of that testimonial: the first was the way the sufferings of Christ and the prayers of David spoke to his experience of suffering and brought him to faith. The second was the grace and dignity with which the German prisoners of war were treated by their allied captors. The harshest thing they did to their German prisoners was silently to post photographs from the death camps. Moltmann does describe the shame and guilt he felt as a German when confronted with those photographs. But he also spoke of gestures of reconciliation made by the allied forces toward the prisoners. They actually brought in some of the leading theologian of the day and turned the camp into a theological seminary. Moltmann learned Hebrew there. I read this account when the news and photos from Abu Graibes were till fresh–and thought of the contrast between how we treated prisoners 50 years ago and how we treat them now. Elizabeth Moltmann-Wendel has written an autobiography that sheds some light on her husband. There is a photo in the book of a stairway in a house–she mentions a Bible study she attended there shortly after the war that was graced by the presence of Bonhoeffer’s “widow” Maria. Even in that indirect way, Bonhoeffer’s memory cast a shadow over the whole theological enterprise in Germany after the war. Elizabeth Moltmann-Wendel went on to become a pioneer in feminist theology. Interestingly, she mentions in the book that she had a close, warm relationship with her father and never became a man-hater and never had particular problems with the imagery of God as a father (I assume she would add, as long as that is not the only or exclusive image). Jürgen Moltmann certainly didn’t try to control his wife. She went her own way with her theological career. He was influenced by Bonhoeffer, Barth, and many others–above all by his fresh and creative readings of the Bible–but he certainly maintained his own independence. At times he can veer off pretty far from traditional ways of expressing the Christian faith in conversations with Marxists, Kabbala mysticism, post-holocaust Jewish thinkers, post-Vatican II catholics, and others–but the Bible always seems to pull him back. Bonhoeffer spoke of “the questions that are bound to arise after the war,” many of which he raised himself: What is Christianity to a religionless age? How does one speak at all after the failure of the churches to follow Christ and stand up against tyranny? Who is Christ really, for us today? I see Moltmann’s career as being in many ways an attempt to answer these questions. Aldo Parmeggiani: Wenn Sie die Gelegenheit hätten, mit Papst Benedikt XVI. zu sprechen: welche Frage würden Sie ihm auf jeden Fall stellen? Jürgen Moltmann: Ich würde gerne mit ihm über die eucharistische Gemeinschaft aller Christen am Tisch des Herrn sprechen. Das ist die große Wunde der Christenheit: dass Christus uns alle ruft zur Kommunion, zur Eucharistie, zum Abendmahl und wir nicht gemeinsam zu ihm kommen. haben have; Wenn Sie hätten (subj) if you had . . .
AP: Welche erachten Sie als die großen Gefahren, welche als die Chancen unserer Zeit? JM: Die große Gefahr ist der Nihilismus. Der terroristische Nihilismus, der ökologische Nihilismus, der mentale Nihilismus, mit dem wir all dieses Elend in den Zeitungen und im Fernsehen hören und uns ansehen müssen, und gegen den wir nichts tun können. Dann versinken wir in Apathie. Dieser neue Nihilismus scheint mir die große Gefahr zu sein. Das Leben wird nicht mehr richtig geliebt, könnte man sagen, mit Albert Camus. – Die Chancen unserer Zeit sind eigentlich größer, als wir sie je erwartet haben. Wer hätte den Zusammenbruch der Sowjetunion und des ganzen Ostblocks erwartet? Keiner. Wer hätte die Wiedervereinigung Deutschlands erwartet? Wer hätte erwartet, dass das Aphartheitssystem in Südafrika ohne großes Blutvergießen zusammenbricht?Keiner. Wir haben in unserer Zeit so viel Zeichen und Wunder erlebt, die uns zu größerer Hoffnung auf die Zunkunft beflügeln sollten, mehr jedenfalls als zu Depression und Angst vor der Zukunft.